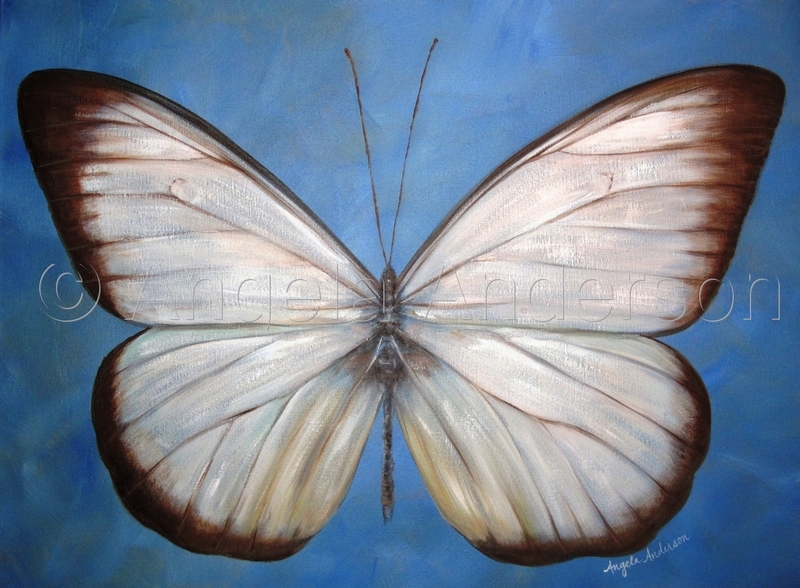 Beautiful white and brown "Jezebel" butterfly on a bright blue background. Original acrylic painting on a deep gallery wrapped canvas. 7" x 9.5"9" x 12.25"11" x 15"13" x 17.625"16.75" x 22.75"